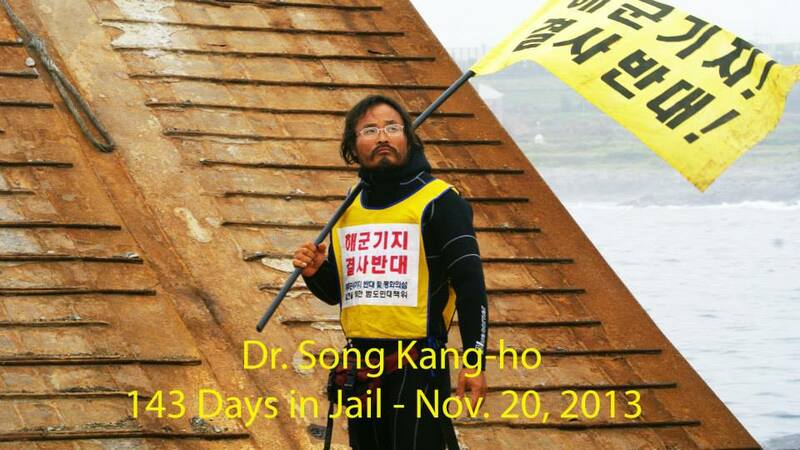 Update: Dr. Song Kang-Ho was released on Nov. 29. Please see here. 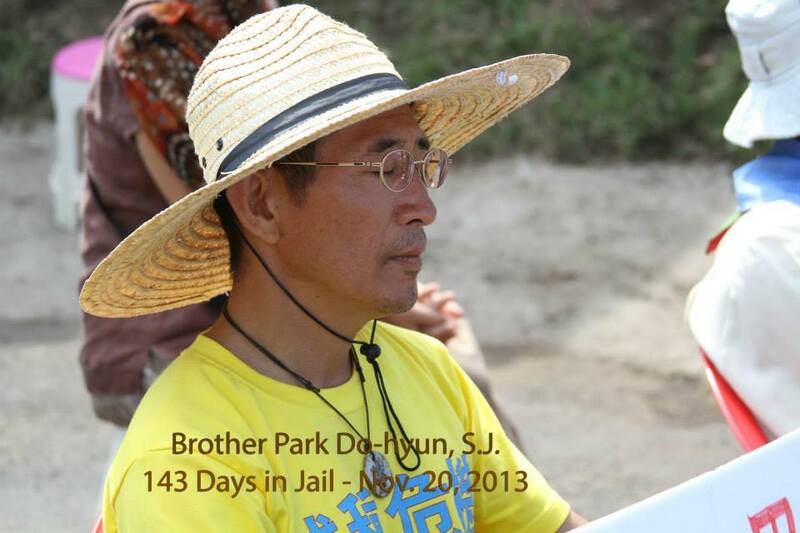 And Mr. Kang Bu-Eon was released on Dec. 3. 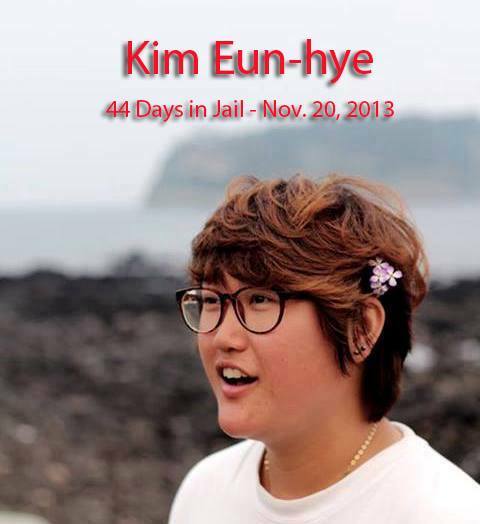 “These good people are right now languishing inside the jail house on Jeju Island, South Korea. And there are more on the way. 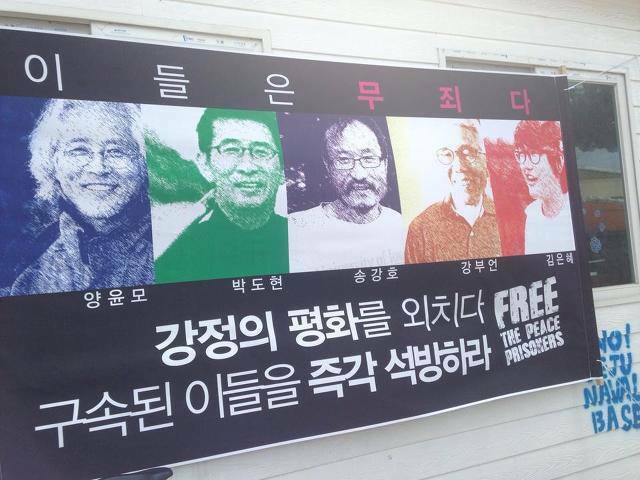 Their crime? 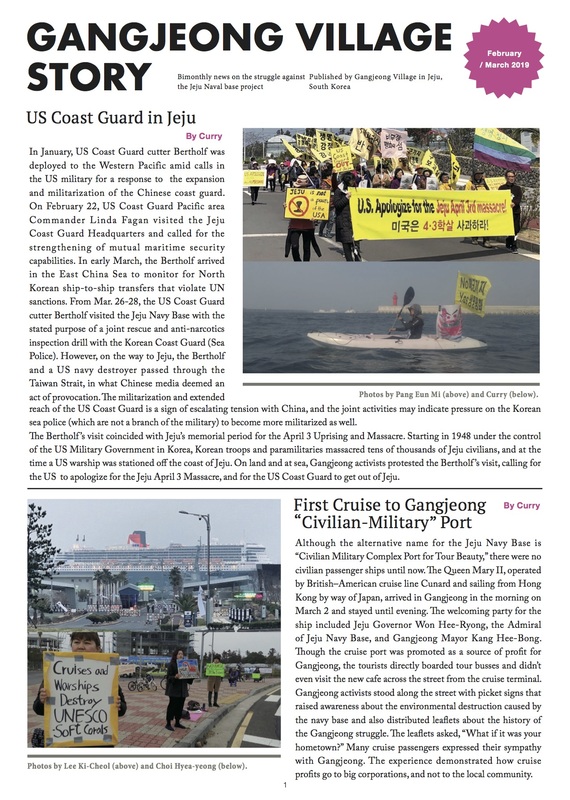 Trying to non-violently block the construction vehicles from entering the Navy base “destruction” site in Gangjeong village. 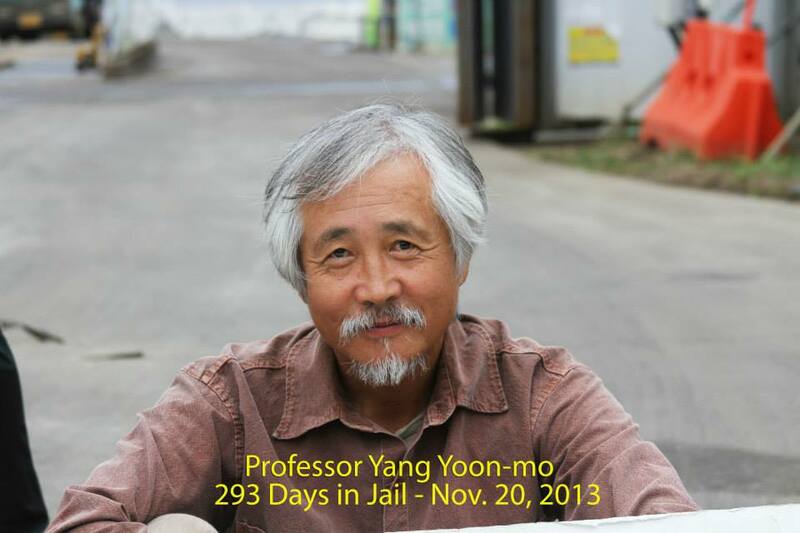 In the case of Yang Yoon-Mo he got an 18 month sentence. And many people are being given severe fines to pay. 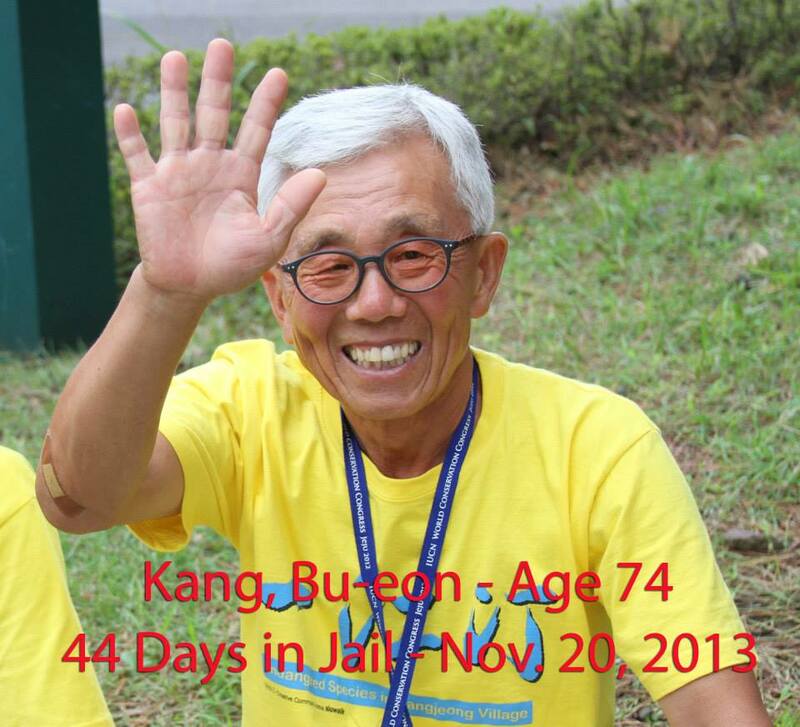 # Among the five, Mr. Kang Bu-Eon is a village elder, who has spent lots of time in his childhood on the Gureombi Rock. He had taken care of his sick wife who fell down for a stroke eight years ago. He himself takes four medicines for illness.